The Noor Orphans Fund is based in London and is dedicated to supporting the orphans of Iraq. We are continually seeking to provide better living conditions and educational standards for the orphans and we undertake many initiatives and schemes to achieve this objective. At the Noor Orphans Fund we have high aspirations. Our ultimate and central goal is to give the orphans whom we sponsor a better quality of life. We do this not just by providing food and clothing, which are of course essential, but also by supporting our orphans with their educational needs so that they will grow up to be confident and self-dependent members of society. We are dedicated to bringing hope to the hopeless by creating a brighter future for deprived orphans and their families, providing them with financial, motivational and practical support. Providing funds towards the living costs of orphans and their families, regardless of gender or ethnic background. Relieving financial hardships amongst orphaned children and their families by providing them with goods and services that they could not otherwise afford. Building up awareness of the increasing numbers of impoverished orphans in the world. Building up awareness of the capacity for ordinary people to make a difference in the lives of desperate children. 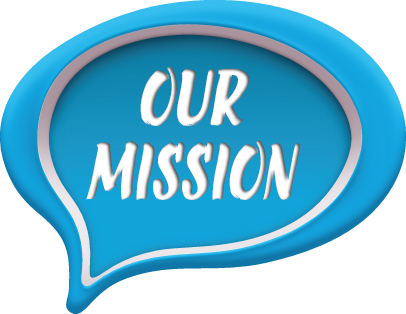 Cooperating with and supporting organisations and individuals working for orphans and their families in the UK and overseas, promoting the education and health of orphans children and preventing or minimising their poverty. 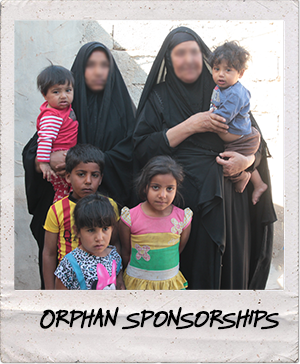 The Orphan Sponsorship Scheme is the main project of the Noor Orphans Fund. With this programme we provide much needed support to orphans in their day-to-day lives in the form of a £20 sponsorship for every orphan and we currently support of 1,500 orphans. The entire £20 is given to the orphan’s legal guardian at the start of each month and makes a real contribution to the improvement of the orphan’s quality of life. We also encourage our sponsors to keep in contact with their orphans, giving the orphans the motivation to excel and comfort in the knowledge that there is someone out there who cares about them. Our sole aim with this project is to collect your sadaqa (charity) and distribute it amongst those in need, giving help when and where it’s needed. We give priority first and foremost to orphans, but also distribute sadaqa to families living in poverty-stricken areas and to individuals who have debilitating conditions, rendering them dependent on others for support, such as the disabled and the chronically ill. Though a few pennies and pounds here and there won’t make much of a difference to us, it can make a significant contribution to improving the lives of those living in the poorest of conditions. It’s not enough for us to provide basic financial support for the orphans – in order to help them in the long term education is paramount. A good education will broaden the orphans’ horizons and give them the chance to a build a prosperous future in which they won’t have to rely on donations. Though public schools in Iraq are state funded, there are many expenses which the government don’t cover, such as uniforms, books and stationery. 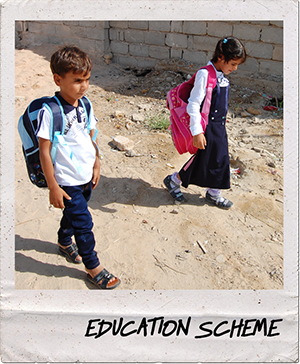 Our Education Scheme works to provide orphan students with these basic educational provisions so that they can excel at their studies and pull themselves out of poverty. 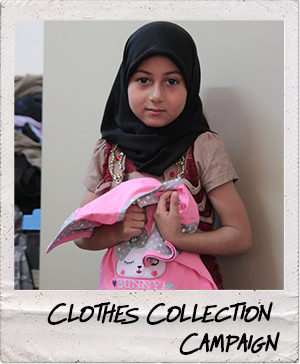 We began our Clothes Collection Campaign in 2012 with the aim of collecting new and like-new clothes and sending them to impoverished orphans and their families in Iraq. 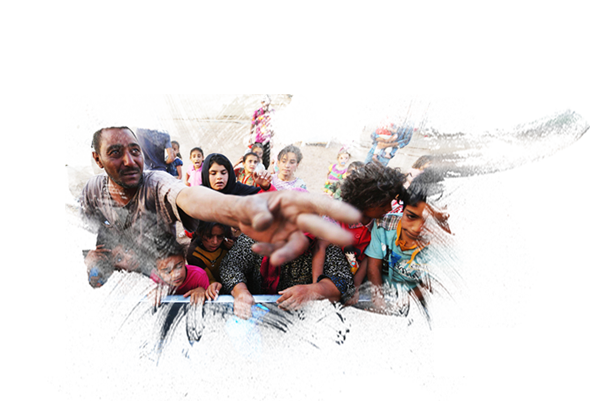 However, in 2014, following the devastating ISIS conflict that swept across Iraq, we expanded our campaign to provide clothes for the families displaced by the conflict as well as for the orphans. Our efforts have been very gratefully welcomed by orphans and displaced families alike, all of whom are desperate for any help they can get. 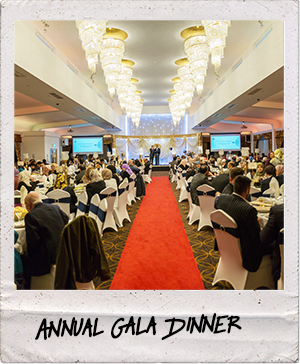 We have been successfully holding the Noor Orphans Charity Dinners annually since 2005, and in that time it has evolved from its modest beginnings into a huge Gala Dinner, accommodating up to 500 guests and raising over £60,000 each year for the orphans. These events are a great opportunity for donors and families to come together and enjoy an evening full of delicious food and fantastic activities, including inspiration speeches, raffle draws and charity auctions. With the Food Distribution Project we aim to provide orphans and less fortunate families with meals throughout the year. 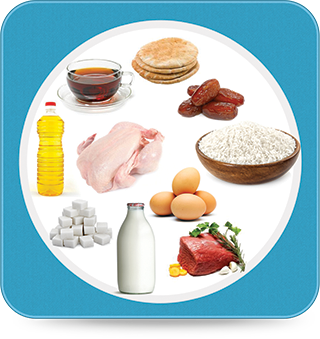 This includes meal baskets in the months of Ramadhan and Muharram, as well as all year round meat distribution amongst the poorest families. We work towards taking orphans out to a restaurant for a meal, since orphans rarely get to experience such outings, and it helps to bring some joy and satisfaction into their tragedy-stricken lives. Following the terrible advent of the ISIS conflict, hundreds of thousands of Iraqis have been displaced, forced to flee their homes in northern and central Iraq leaving most, if not all, of their belongings behind. With our Displacement Appeal we provide these innocent victims with clothes, medicine, heaters and all kinds of everyday essentials they need to bring back some sense of normalcy in their lives.